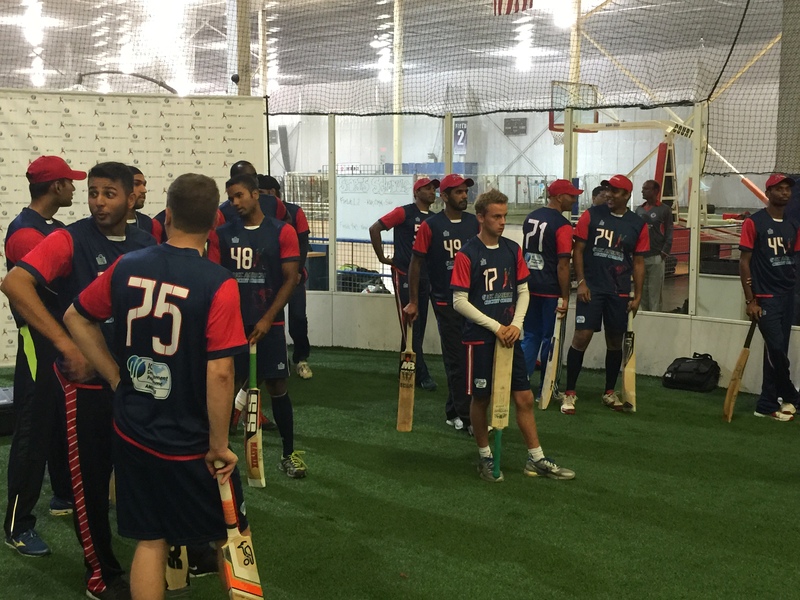 September was a busy month for the Napa Valley Cricket Club with games, assisting evacuees of the Valley Fire and member participation at an elite cricket combine in Indianapolis. The club were looking forward to a break after their late August victory over visiting Sacramento CC when the Valley Fire broke out on Saturday 12th September. With the Fairgrounds in Calistoga, where the NVCC play their games, being used as an evacuation site the club decided to act knowing many were in need. Liaison with club members Clive Richardson and Graham Jones in Calistoga gave the Napa based members a list of needed supplies and a drop-off spot in North Napa was hastily arranged with it’s details being shared by email and social media. “Many folks were asking in those initial hours how they could get items that were needed up to Calistoga” said NVCC Vice President Andrew Healy “and we knew we had a club structure to call on to get the job done. In the end we sent up seven vehicles with canopies, sleeping bags, toiletries, water, large animal crates and much more.” continued Healy “Some of the items we sent up were eventually left door-to-door in Hidden Valley Lake and that’s a story that will continue to evolve over the winter” said Healy. NVCC travelled to picturesque Piper Park in Larkspur for the third game in their 2015 series against the Marin CC Socials as September drew to a close. With the annual series tied at one apiece it was all to play for and a tough game for NVCC was won by two great displays. John Leake with the bat scored 98 runs while Andrew Healy with the ball took a historic “5-for” and set a NVCC club record with his bowling figures. Club Captain Rob Bolch lost the toss which saw NVCC put into bat on an overcast Marin morning. 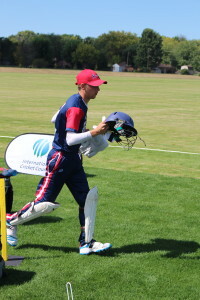 NVCC openers Martin Mackenzie and Abhijit ‘Doc’ Adhye opened strongly until Mackenzie was out to a stunning slips catch in the fourth over that buoyed MCC. NVCC number three Bijoy Ojha fell five overs later to another stunning catch in the slips just as he looked well set on 16 off 19 balls, with three 4’s already on the board. That brought Leake to the crease, and as is his way he settled in for a long and sensible innings. In partnership with Adhye the pair put on 144 runs for the third wicket with Leake contributing 98 off 79 balls. He fell agonizingly short of his fifth century of the season and his knock included an impressive haul of 11 fours and two huge sixes. By contrast Adhye didn’t hit a single boundary in his well constructed 45 and he lasted almost 31 over and two hours in the middle. Leake and Adhye fell in consecutive balls to impressive MCC bowler Sridhar with NVCC on 175 with just under 10 overs remaining. A series of NVCC batsmen contributed in getting NVCC to their final score of 225 – Phil Bourke (8 off 13), Bolch (18 off 18), Arjun Pandya (18, not out, off 17) and Tim Kay (3 off 4). NVCC opened their bowling with the strong and consistent antipodean pairing of Australian Pat O’Neil and New Zealander Bernie Peacock. While MCC started strongly with batsmen Gowtham and Raman scoring well NVCC had three wickets by the 10th over and the tone was set for the day as every time a Marin batsman looked to start scoring NVCC took their wicket. By drinks NVCC had six of the Marin batsmen out with two wickets each for Bolch and Peacock, one for Martin Mackenzie and some excellent catching in the field from from O’Neil, Kay and Healy. NVCC looked well set to wrap the game up as they faced the Marin tail-ender batsmen but no one had an inkling of what was to come as Bolch threw the ball to Healy for what would turn out to be four unforgettable overs of accurate slow bowling. Healy’s figures of five wickets for the loss of only seven runs in fours overs (5 for 7 off 4) were all the more impressive as three of his wickets were taken behind the stumps to slips and a keeper catch. In addition he had a fine catch taken in covers by Ojha the last wicket stumped by wicket-keeper Bourke wrapped up a truly impressive display of fielding from the NVCC team who backed up Healy’s pinpoint bowling on every ball. 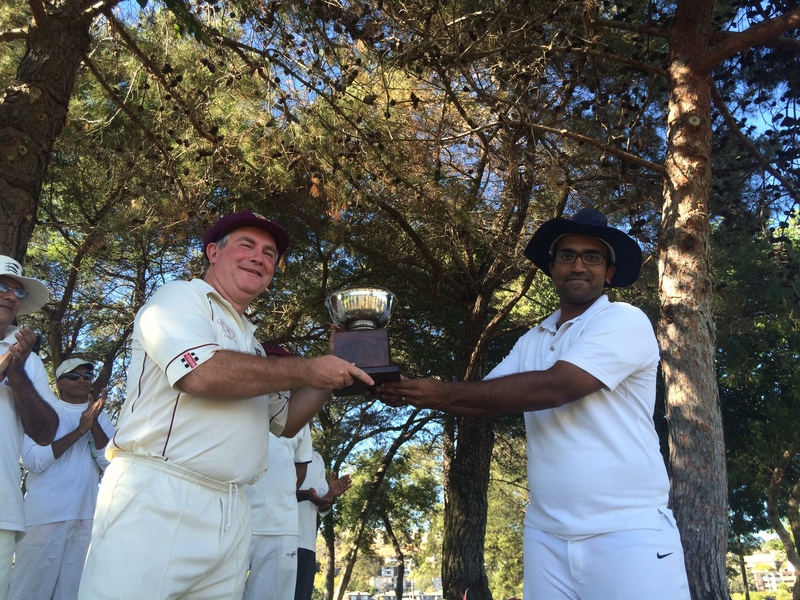 In the end NVCC ran out winners by 120 runs and took back the annual series trophy from Marin who won it in 2014. 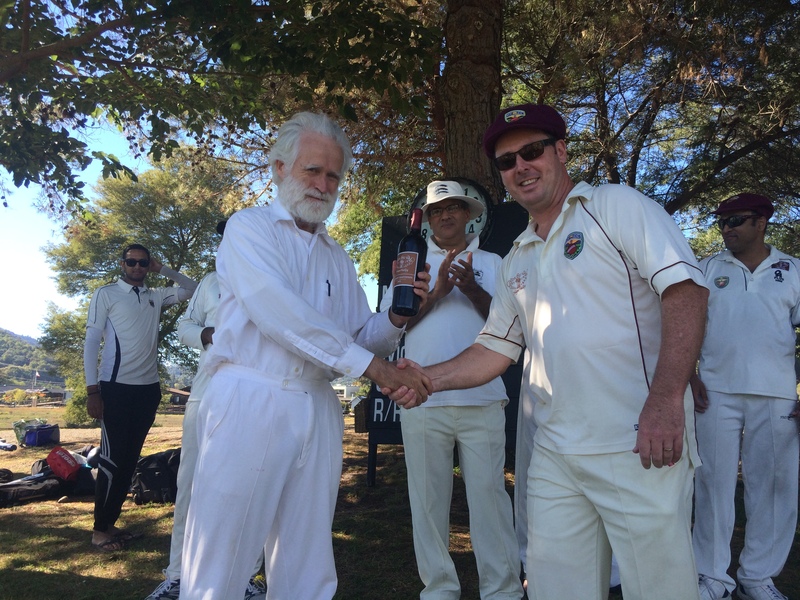 The Clos du Val ‘Man of the Match’ for MCC was Australian Jim Pitman for his four wickets that mopped up the Napa batting efforts. The NVCC Compadres Rio Grill ‘Man of the Match’ went to Andrew Healy for his historic “5-for” and the best bowling figures in the clubs history. Napa Valley CC Batting – John Leake 98 runs off 79 balls (11 x 4, 2 x 6), Abhijit Adhye 45 off 81, Arjun Pandya 20 off 17 (2 x 4). 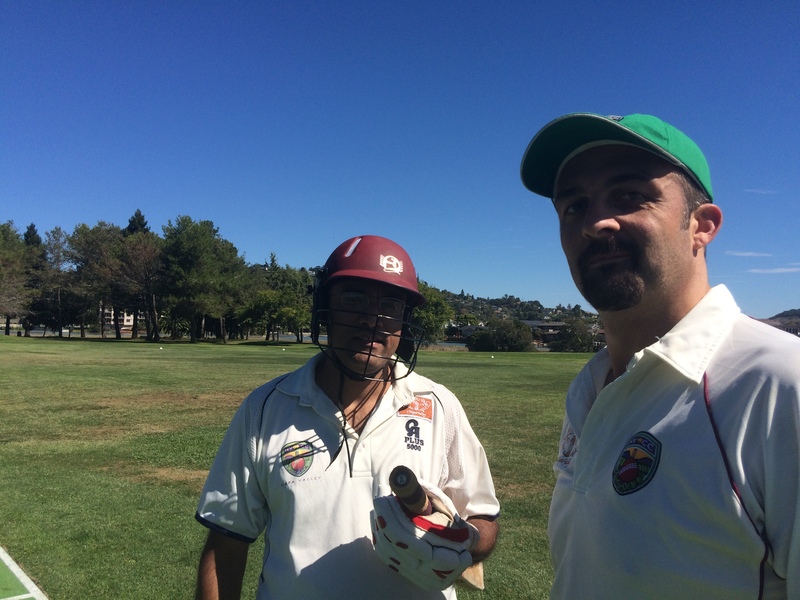 Napa Valley CC Bowling – Andrew Healy 5 wickets for 7 runs off 4 overs, Bernie Peacock 2 for 18 off 5 including 1 maiden, Rob Bolch 2 for 20 off 5. Sunday 11th October at The Fairgrounds in Calistoga where NVCC play two games of Last Man Stands cricket – 10:00am versus Marin Firsts and at 2:40pm against the LMS Yankies. Each game is scheduled to last for two hours.